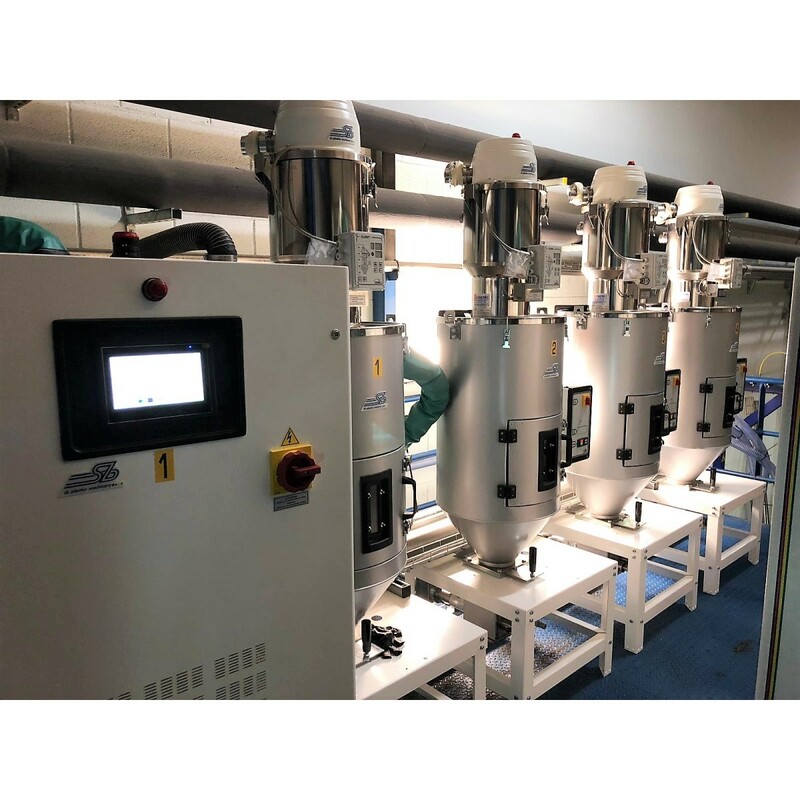 The dehumidifiers of the DB series for so-called “hygroscopic” polymers (for example ABS, PA, PC, PET, TPU, etc …) stand out for their robustness, reliability and ease of use. Born together with the company in 1991 as a flagship product, they have evolved over time from the point of view of control with the adoption of touch-screen user interfaces and more compact components, but have maintained the same solidity of construction of a time, at we still provide assistance and spare parts for machines that are over 25 years old. A curiosity: the dew-point is a value that indicates at which temperature (°C or °F) the moisture in the air condenses. The lower the dew-point and the more the dehumidification air is dry and so efficient. The dew-point is therefore an index of efficiency of the dehumidifier, but not of the state of dehumidification of the plastic material as is often believed. All the dehumidifiers of the DB series can be configured both as independent units and as centralized units (multi-hopper). 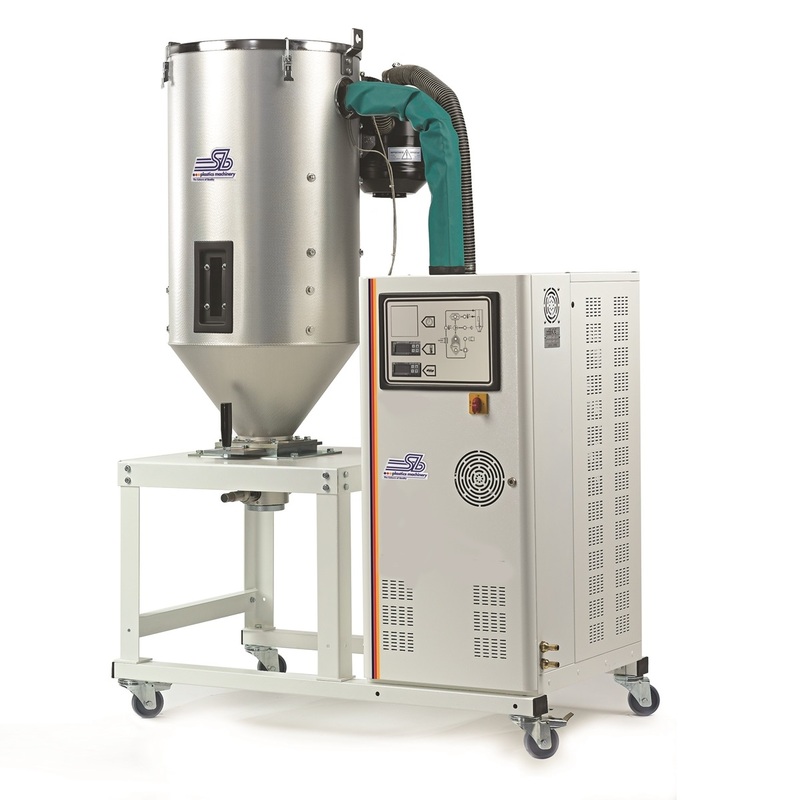 In the centralized configuration, each process hopper can be managed as an independent station in terms of treatment temperature and air flow, so as to allow the processing of several materials simultaneously using the same dehumidification unit. 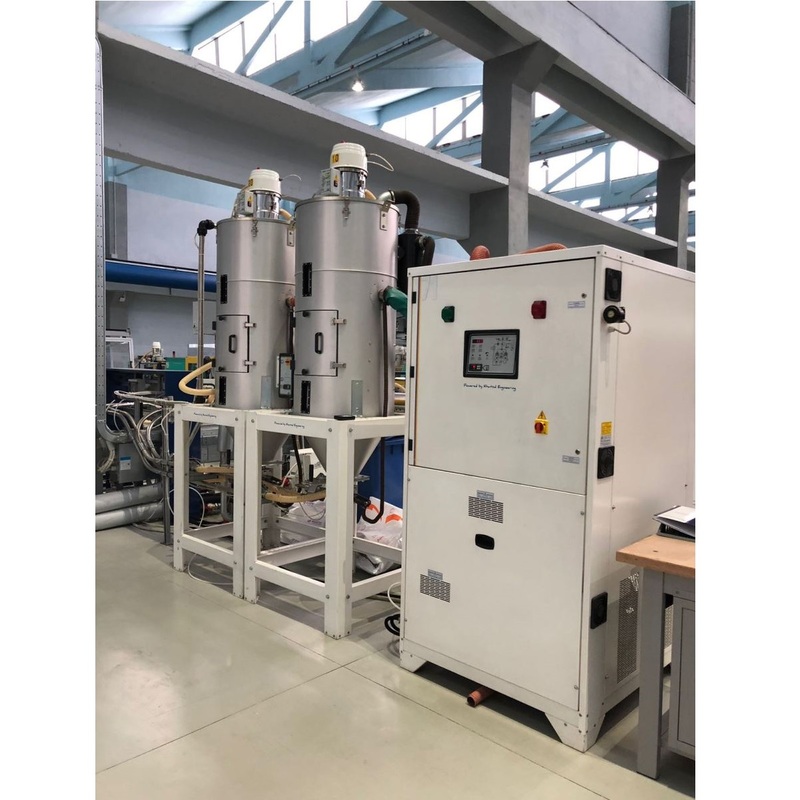 The dehumidifiers of the DB series can also be used for a simple conditioning of plastic materials, in order to control the decisive production parameters and, at the same time, reduce the energy requirements of the transforming machines (injection moulding machines, extruders or blow molders). The 7″ touch-screen panel has clear and essential graphics with different levels of access per user. Setting the work cycle simply requires entering the material handling temperature, after which the process is self-adaptive. The dew-point reaches values ​​up to -65 ° C in the double-tower / double-blower models. 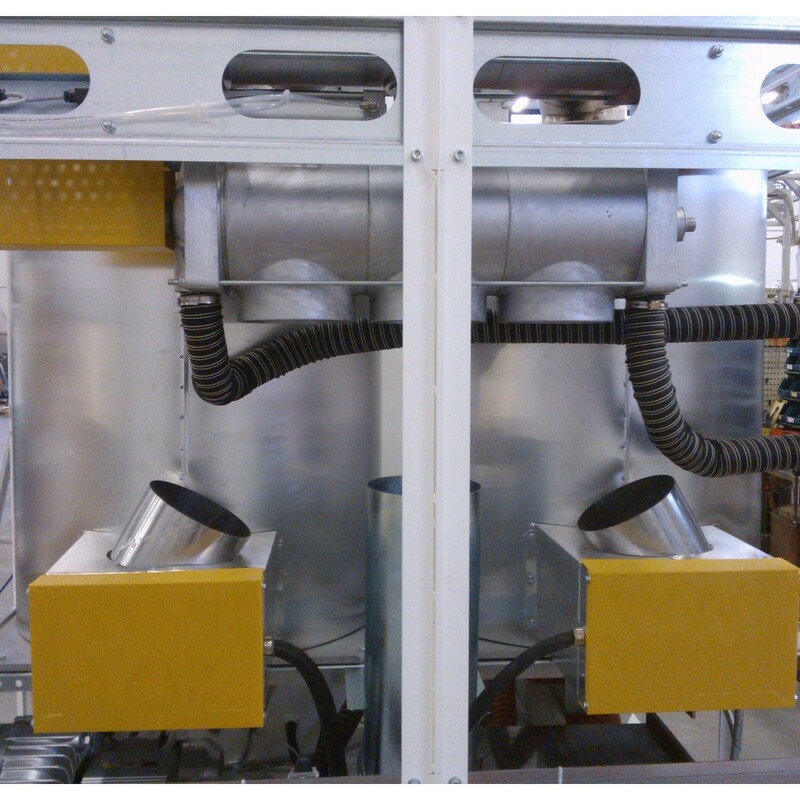 Dehumidification towers, heating chamber and process hoppers are made of AISI 304 stainless steel. The process hoppers are made of AISI 304 stainless steel and externally insulated. 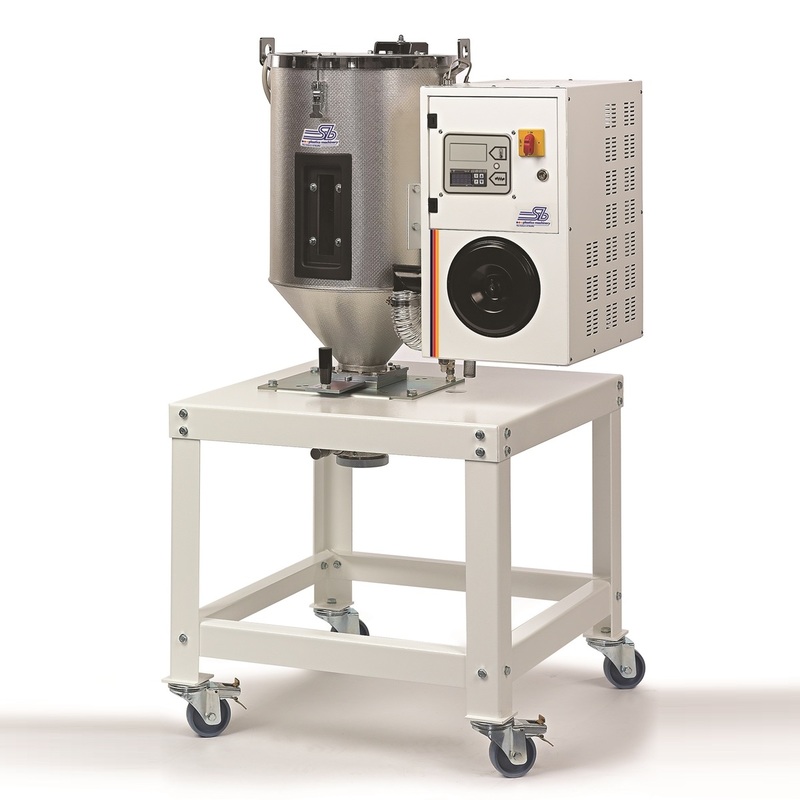 The regeneration cycle is performed with accurate temperature controls to prevent degradation of molecular sieves. 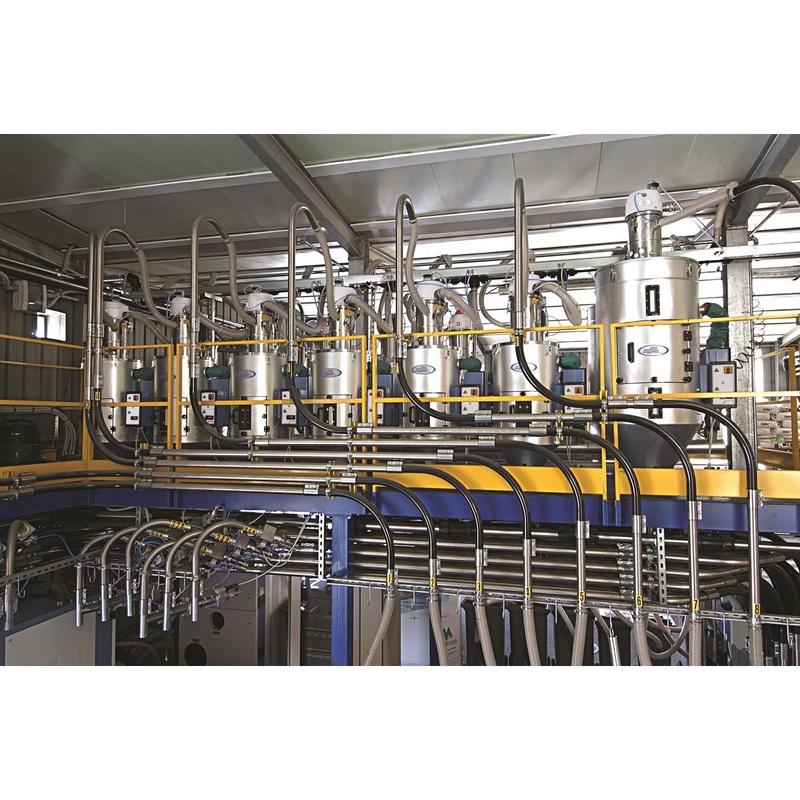 The start-up function is standard and alerts when the material is ready to be transformed. The scheduler (optional) allows you to program the work cycles of the machine on a weekly basis. Each unit is equipped with a dew-point control that can be integrated or monitored with external proprietary or third-party tools. The shutdown is controlled by a cooling cycle that preserves the life of molecular sieves. 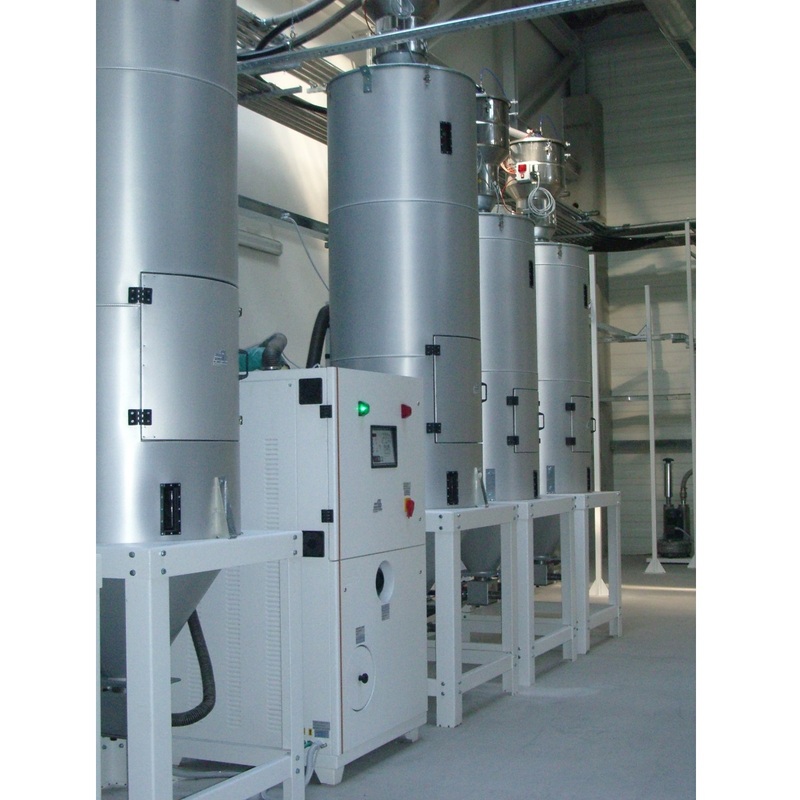 Blowers and molecular sieves are protected by additional filters. Heating resistors are controlled by solid state relays.